Sri Aurobindo (1872 - 1950) and Mira Alfassa (1878 - 1973), later known as The Mother developed the Integral Yoga (ca. 1910-1926) as a vast and futuristic field of Spiritual Consciousness Research and Application of Spiritual Consciousness Experience to Life in the subsequent years. The practical impact of this work expresses itself in various ongoing projects in the present time and reaches further for the future. Two modern centers for this endeavour are Mirapuri, the City of Peace and Future Man in Europe (Italy) and its first satellite Miravillage in Germany. 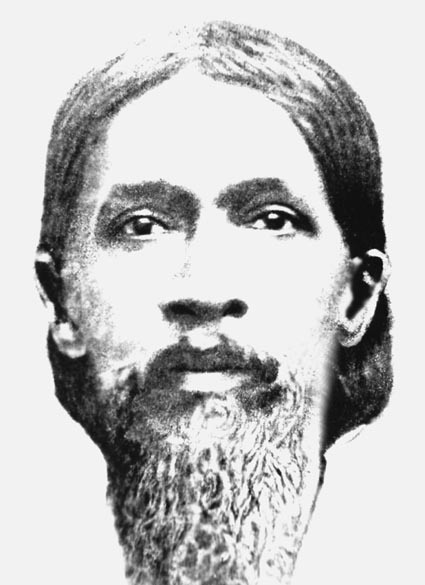 Sri Aurobindo was born on 15th August 1872 in Calcutta. He was sent to England for his education and returned to India in 1893. He worked in the Baroda College as Professor for French and English. In 1901 he married Mrinalini Bose. Till 1906 he extensively studied Sanskrit and other Indian languages and assimilated the rich heritage of Indian Spiritual Culture. Most of the poems, theater-plays, cultural and political essays which Sri Aurobindo wrote during this period and the following years were later published as books. From 1906 till 1909 he joined the political movement for the independence of India. During this time he turned to the practise of Yoga. After profound inner experiences he ended his political time in 1910 and went to Pondicherry in South India to develop the Integral Yoga. The Integral Yoga is a way and method which enables man to further expand his consciousness to become aware of his soul and spiritual reality and then to go beyond the mental level into the experience of what Sri Aurobindo called The Supramental. A realization which finaly leads to the lasting expression of Peace, Love and Human Unity and the opening up of new and futuristic evolution possibilities. 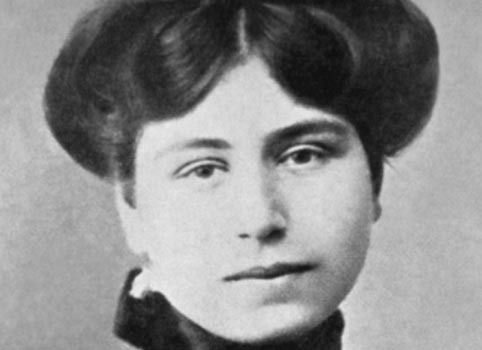 Mira Alfassa was born on 21st February 1878 in Paris. 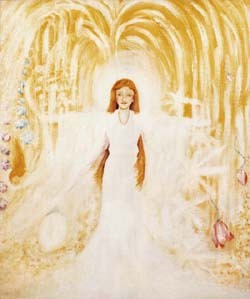 From childhood on she had mystical experiences which showed her the possibility of manifesting a New Consciousness uniting spiritual and material life leading to a further evolution of man. It is this New Consciousness which Sri Aurobindo later defined as the Supramental Consciousenss. Mira Alfassa studied art and became an accomplished artist and musician. 1897 she married Henri Morisset and gave birth to her son André. In 1905 she began to study parapsychology and occult sciences in Algeria together with Max Theon and his wife. After her divorce from Henri Morisset she founded a group of spiritual seekers which was named l'Idée Nouvelle. In 1911 she married Paul Richard and travelled with him to India where she met Sri Aurobindo for the first time in 1914 and started together with Sri Aurobindo and Paul Richard the journal 'Arya', which became the birth place for most of the writings of Sri Aurobindo which later appeared in book-form: The Life Divine, The Synthesis Of Yoga, Essays On The Gita, The Secret Of The Veda, Hymns To The Mystic Fire, The Upanishads, The Foundations Of Indian Culture, War And Selfdetermination, The Human Cycle, The Ideal Of Human Unity, The Future Poetry. Till 1920 Mira Alfassa stayed in Japan and then came back to India to live with Sri Aurobindo and, together with him, further develop the Integral Yoga. Sri Aurobindo and Mira Alfassa founded the Sri Aurobindo Ashram in 1926 to accommodate the growing number of people who became interested in the Integral Yoga. After 1926 Mira Alfassa became known as The Mother, the individual expression of the power of spiritual consciousness. Sri Aurobindo continued his work of Consciousness Evolution and Spiritual and Supramental Transformation till 1950 when he left his body. During the years 1926-1950 Sri Aurobindo wrote innumerable letters, answering questions about the Integral Yoga, a multitude of poems describing his spiritual experiences and far reaching essays on the Supramental Manifestation on earth. In 1950 he completed his major work 'Savitri' which presents the complete vision and realization of the Integral Yoga of himself and The Mother in the form of a deeply touching epic poem of nearly 24000 lines. Mira Alfassa - The Mother continued the work of Consciousness Evolution till 1973, leaving a stunning legacy of wisdom, knowledge, realization and impulses for making physically effective the Integral Yoga in a life where Spirit and Matter are one: Shortly before 1950 The Mother envisaged the foundation of an Ideal City in Hyderabad where she would live together with Sri Aurobindo, an idea which was dropped after Sri Aurobindo left his body. In 1951 she founded instead the Sri Aurobindo International University to modernize and expand the scope of the Sri Aurobindo Ashram in Pondicherry. This endeavour she further strengthened when she established the Sri Aurobindo Ashram, Delhi Branch together with Surendranath Jauhar in 1956 and The Mother's International School which is also located in the Sri Aurobindo Ashram, Delhi Branch and has since then grown into one of the biggest and most important schools of its kind in India. Throughout her life she wanted to create a new type of city for all those who want to develop their consciousness for a further, spiritually inspired evolution. In 1957 ideas for such a township again were in the air but did not materialize. In 1967 plans were made and some land acquired to found a city in the Indian state Gujarat, which she named Ompuri. This project did not move further and The Mother started in 1968, together with the architect Roger Anger, near Pondicherry the Auroville project which she saw as a 'more external extension' of the Sri Aurobindo Ashram, Pondicherry. In 1973 The Mother gave her blessings to Michel Montecrossa to establish a cultural center and guest house for the Friends of Mirapuri in Auroville. It is named 'New Community' and is located in the Auroville settlement 'Certitude' opposite the building called 'Auroson's Home'. New Community fullfilled its purpose as a Mirapuri Center for promoting international understanding and cultural exchange at Auroville from 1973 till 1982. After that Mirapuri suspended the work at New Community because Auroville was overthrown by an organized, violent and sectarian movement which disrobed Auroville of its original aim of becoming a place of peace and pratical world unity as envisaged by Mira Alfassa – The Mother and as confirmed by the UNESCO. As a result of the changes in Auroville the Mirapuri people working at New Community were threatend with murder, put under constant and heavy psycological stress and were confronted with all kinds of physical harassment making it impossible to lead a free and civilized life in dignity, dedicated to a nobel ideal. Therefore Mirapuri would resume work at New Community only on condition that human rights are restored and protectet at Auroville and Mira Alfassa's original plan of creating in India a place of peace, freedom and practical world unity would be activated again. From 1970 till 1973 Mira Alfassa – The Mother together with Michel Montecrossa prepared the initial planning for Mirapuri and Miravillage which led to the foundation of Mirapuri - the City of Peace and Future Man in Europ (Italy) on 15th August 1978 and the establishment of Miravillage in Germany, as the first satellite of Mirapuri, which now are the two biggest independnet and selfsupporting centers of activity based on Sri Aurobindo and The Mother in Europe, providing an effective and humane living and working environment for all those who want to realize the Ideals of Sri Aurobindo and The Mother and practise their Integral Yoga as a way of consciousness development.